The DCS-6815 Outdoor 18X WDR Day/Night Speed Dome Camera is a professional outdoor IP surveillance solution which connects to your network to provide high-quality live video over the Internet. The inconspicuous dome enclosure can be mounted in a variety of positions based on your needs. Equipped with Sony’s proprietary EX-View technology, the camera’s sensor shows a drastically improved light sensitivity, so that it can deliver excellent image quality and levels of detail. In addition, the camera includes a built-in Infrared Cut Removable (ICR) filter, which allows the camera to capture crisp colour images during the daytime, and clear grayscale images in low-light. It also includes Wide Dynamic Range (WDR) technology, which provides clear images with a good level of detail even when the camera is hit with strong backlight, for example when facing intense sunlight that may be streaming in through a nearby window. The pan function provides a 360° range of motion. Pan and tilt speeds are proportional to the optical zoom ratio of the camera, so when the camera zooms in, the panning speed is automatically slowed to improve camera tracking and controllability. You can program the camera to automatically sweep areas of interest by defining routes with specific pan, tilt, zoom and focus features. The camera is housed in an IP66 certified weatherproof casing, which protects it against rain and dust. A built-in heater and fan allows the camera to operate in extreme environments at temperatures ranging from -40°C to 50°C. Embedded with a powerful SoC (System-on-Chip), the camera provides high-quality, real-time video compression in MPEG-4 or Motion JPEG formats. You can record directly onto an FTP server located off-site or a Network Video Recorder (NVR), such as D-Link’s DNS-722-4 or DNS-726-4. These devices can control multiple cameras and support RAID-1 for backup of the video footage. The camera provides eight alarm inputs and one alarm output to connect alarm devices. With this function, alarm systems distributed across an area to monitor can initiate swift camera movements to catch event images, a cost-effective alternative to multiple fixed cameras overseeing the same area. Snapshots may be sent via e-mail, based on motion detection or D/I signal. The Open Network Video Interface Forum (ONVIF) is standards relating to open IP video networking. The DCS-6815 is ONVIF compliant and therefore interoperable with other manufacturer’s products on the same network such as cameras, storage systems, video analytics products and Video Management Systems. For more information on ONVIF and compatible D-Link network cameras, please click here. 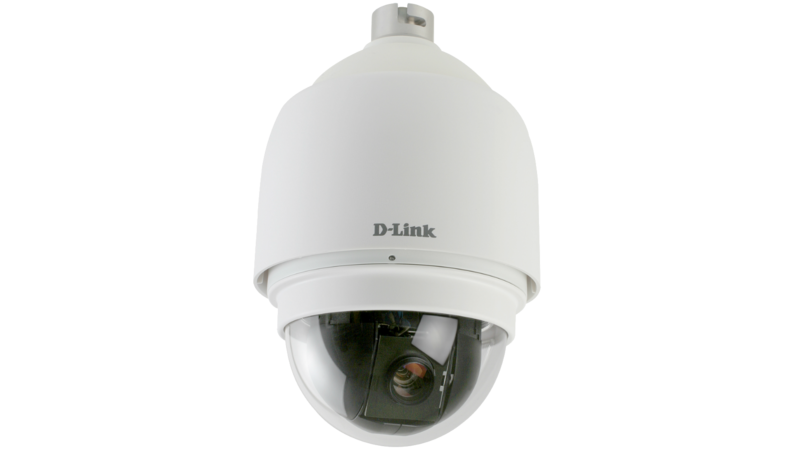 The included D-Link D-ViewCam™ (DCS-100) is a sophisticated video management software which enables you to manage up to 32 network cameras, set e-mail alert notifications, create recording schedules, and trigger motion detection to record directly to your hard drive or network folder. D-ViewCam™ also allows you to upload a floor plan of your premises, and create a realistic layout according to the locations of your cameras, further simplifying the management process.